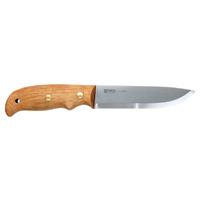 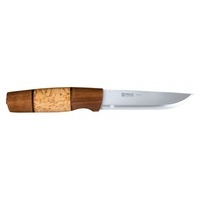 A true Norwegian style outdoor knife, embodying 85 years of the brand’s history and tradition. 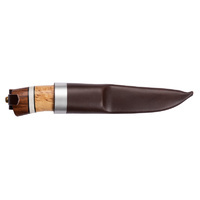 The 4.3-inch curved handle is made using natural materials like darkened oak, staghorn and curly birchwood. 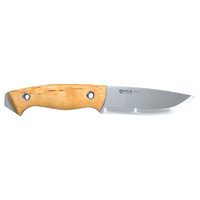 While elegant, the Trofé is a hefty knife with a distinct Scandinavian grind for a razor sharp edge that is easy to maintain. 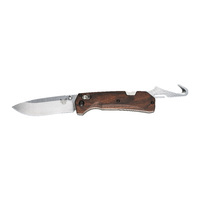 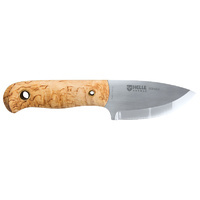 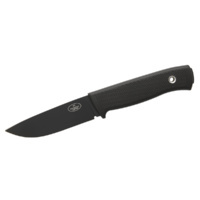 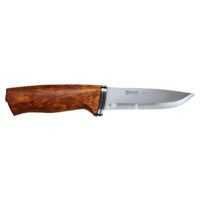 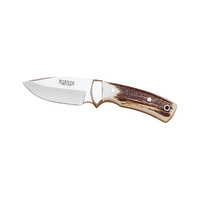 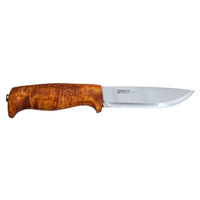 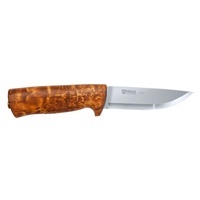 Made using Helle’s renowned triple laminated stainless steel, the 3.5-inch drop point blade holds an exceptional edge. 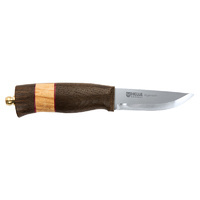 Each knife comes with a stitched leather sheath.